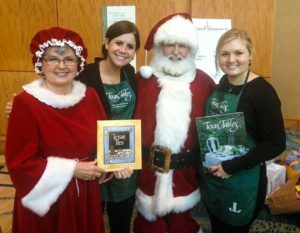 The JLTW is proud to offer our second amazing, award-winning cookbook – Texas Tables – that is not only filled with delicious family-favorite recipes, but also supports our North Houston community. When you purchase our books, the proceeds directly support the mission of our League and our many community programs and projects. Check out a sample recipe from Texas Tables! Texas Ties, our Tabasco award-winning cookbook which premiered in the fall of 1997, has been retired, but remains an important part of our League’s legacy. For more information or assistance in ordering, please contact us at cookbooks@jltw.org.